I am getting below error on Window server 2008. Could not load package because of error 0xC0014062. Description: The LoadFromSQLServer method has encountered OLE DB error code 0x80004005 (An error has occurred while establishing a connection to the server. 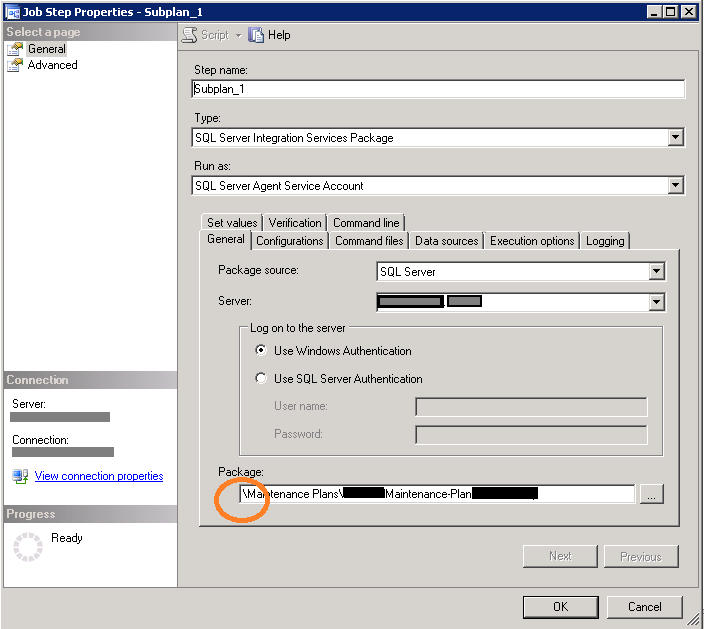 When connecting to SQL Server 2005, this failure may be caused by the fact that under the default settings SQL Server does not allow remote connections.). The SQL statement that was issued has failed. Go to SQL Server Agent -> Jobs -> Right-click on the particular one that you has the issue, and click Properties. Go to Steps -> Choose the step -> Click Edit -> Under Advanced check: Include step output in history. Retry to run the Job on more time. Right click on the Job and choose History that will give you more information about the error. Sometimes the SQL Server needs SSIS to be installed, so make sure you have it if you don't. If you will load a ssis package from a sql server, under a proxy account, be sure to grant to that user db_ssisoperator on msdb database. Not the answer you're looking for? Browse other questions tagged sql sql-server ssis or ask your own question.